Need clothes for job interview? 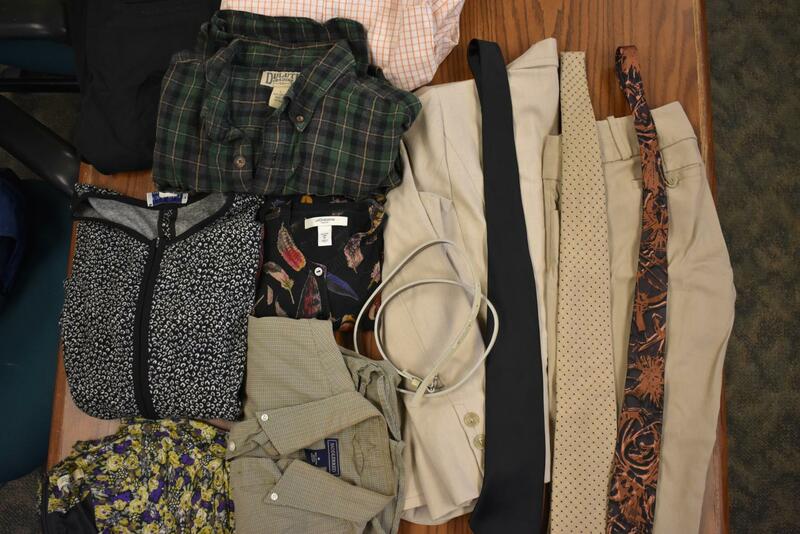 Students can donate used clothes to the Office of Student Engagement. Students, faculty and staff can donate gently used professional clothes to the Office of Student Engagement until March 1. According to Program Coordinator Leslie Cook, donations of pants, shirts, dresses, skirts and shoes will go to students who need clothes for job interviews. Cook said the clothes are for an event later in March in which students can freely take the donated clothing.